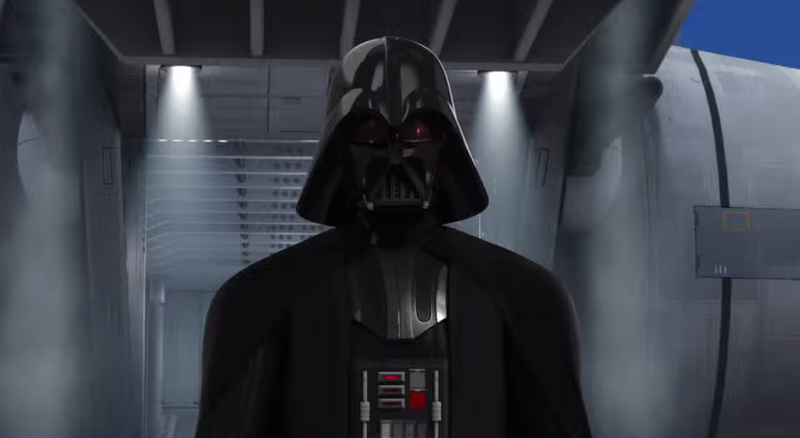 The season finale of Star Wars Rebels airs tonight, and we get an appearance by none other than Darth Vader. Agents of SHIELD returns and things are looking...Inhuman. Plus, CSI launches a cybercrimes division, and we've got the latest clips from 12 Monkeys, Helix, and The Walking Dead. When Fish Mooney seems to join forces with Dr. Dulmacher, her loyalties to the prisoners are questioned. Meanwhile, Master Bruce deals with the aftermath of an attack that hit close to home. In the first season finale, the Rebels must mount a daring rescue — but it looks like they may come face to face with someone much scarier than the Inquisitor: Darth Vader. Can the contestants bring the Hellraiser madness? This week, they have to create a stylish horror villain inspired by the works of Clive Barker. The Inhumans are coming! Agents of SHIELD is back and Coulson's team has to deal with the consequences of their war with Hydra and the revelation that threatens to tear them apart. After a hacktivist turns up dead, Jo and Henry find themselves immersed in the world of cyberterrorism. It's a case that threatens to expose Henry's own secret. There is a lot of toil as the Grounders and Arkers prepare for battle with Mount Weather, and things are even more tumultuous underground. Jasper and Maya witness a horrific act while Cage goes public with powerful information. Yes, it's a real show. Really, it was only a matter of time before the CSI franchise branched out onto the dark net to solve computer crimes. On The Amazing World of Gumball (5 PM), Darwin and Gumball try to figure out why things have been going missing and discover that someone has been secretly living in their house. (Is she a Faceless Old Woman?) Uncle Grandpa (5:30 PM) molds a young girl's mouth into "duck lips" and she must deal with the consequences of her newfound popularity. On Teen Titans Go! (6 PM), the Titans visit Tamaran, hoping to find out what makes Starfire so sweet. On Steven Universe (6:30 PM), Steven and the Gems encounter another droid from space. Finn and Jake stumble into two different holes and meet two different fates on Adventure Time (7:30 PM). And on Regular Show (7:45 PM), Mordecai and Rigby want to find a rare golden video game patch. To rescue Cole from the past, Dr. Jones must convince a former ally that her mission is worth saving. Sister Amy makes a power play for control of the Abbey as Alan and Kyle discover a possible cure for the virus. As Middleton's Heritage Festival gets everyone in town talking, Cassie is back to her bewitching ways as she welcomes a scared young woman to the Grey House, only to find out she's being followed. Gold is trying to get the old gang back together by bringing Maleficent back into the world. And that means nasty things for the Snow and Charming clan. As the survivors continue to get use to their new digs, they consider a return to normalcy. Phil settles into his new mansion in Tucson, but he runs into something unexpected.